As someone born with a rare heart defect, pulmonary atresia, and having had a stroke at the age of 4, I recognize how important healthcare innovation has been in playing a role in giving me a chance at a normal life. To put that in perspective about 1 in every 10,000 babies is born with this defect and I am one of them. I also have a younger cousin who shares this condition with me, and if you consider the odds, it’s pretty crazy! So you see, just from that alone, I have more than enough motivation to care about the future of healthcare. My mother has schizophrenia, depression, and diabetes. Every day I am faced with this feeling of helplessness in my inability to help my mother and this motivates me, even more, to learn about healthcare and how we can make sure that we are constantly improving as well as what tools are available to help improve healthcare today. 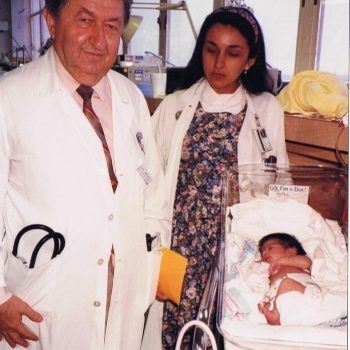 I have been extremely fortunate to have amazing support and some of the best doctors in the world, from Dr. Barry Baylen of Los Angeles County Harbor UCLA Medical Center in Torrance for pediatric cardiology, to Dr. Jamil Aboulhosn at Ronald Reagan UCLA Medical Center for adult cardiology, who truly care about their patients, as well as support from UCI Medical Center, who treated me when I suffered a stroke. I would like to personally thank them for getting me this far! I am a living embodiment of what health care innovation can accomplish and I know there are many people looking to push the boundaries of what we can accomplish. So, let’s do our part to make healthcare better so that moving forward my cousin and people like my mother have the best healthcare possible.